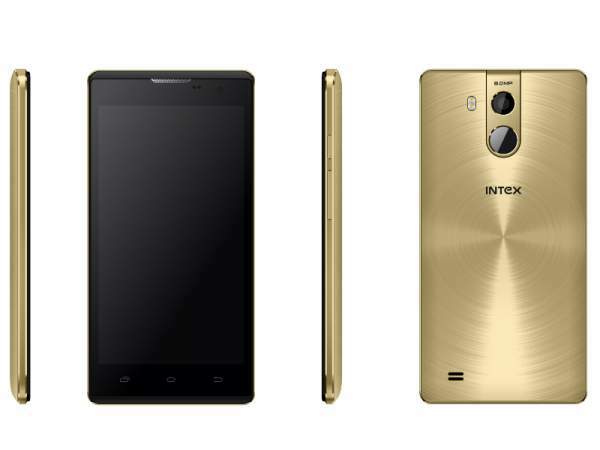 The smartphone has already been launched in the market available exclusively on the e-commerce website Flipkart. The price of the phone is Rs. 6,499. String V2.0 is one of the few smartphones to support government announced mandatory SOS feature in their devices. Keshav Bansal, Director of the Intex Technologies, said that “We have constantly been innovating to solve every need of our customers, across the country. The 4G and VoLTE enable Cloud String V 2.0 comes with an inbuilt SOS feature which ensures the well-being of the user. Over the specifications, CloudString V 2.0 comes with a 5-inch display with a resolution of 1280 x 720 pixels. CloudString V2.0 supports 4G LTE with VoLTE connection. The smartphone is powered by a 1.3 GHz quad-core Cortex A-7 processor. The device features a 2 GB RAM and 16 GB of internal memory. The memory can be expandable up to 128 GB using microSD card. The phone runs on Android 5.1 Lollipop with some extra features like gesture control and panoramic mode. The device sports an 8-megapixels primary camera with Samsung image sensor. The secondary camera of the smartphone is 5-megapixels. The camera also features for slow motion video, Panorama mode, and HDR. The device also features a rear fingerprint scanner with mirror glass finish. The device is powered by a battery of 2,200 mAh which gives seven hours of 3G talk time. The SOS service provides an option to send SOS messages to pre-configured recipients in case of any emergency. The device also features some connectivity options like Bluetooth v4, Wi-Fi, GPRS/EDGE, Micro-USB, A-GPS/GPS and 3G HSPA+. The device has an audio jack of 3.5 mm. The smartphone is available in Champagne and Silver color variants. The company has recently launched its first Sailfish operating system device by the name Aqua Fish in India just a few weeks back. Inspiring from Asus Zenfone Zoom, Intex also announced a device with circular camera module by the name Aqua Ring. Aqua Ring is available on an e-commerce website Amazon at Rs. 3,999. Stay tuned to The Reporter Times for latest phone news and all other Technology updates across the globe.